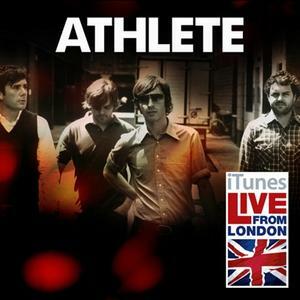 Athlete has been highly-touted as one of the best bands to come out of London in years. You can practically hear the buzz surrounding them on this exclusive iTunes live set captured recently in London's Apple Store. The normally melancholy group sound liberated in concert, breathing a new vitality into tracks which originally appeared on this year's "Tourist" album. The track "Stand In The Sun" is not only brand-new, but it's also the first time the band has played the track live. Leave a note if you want me to post the studio album as well.